The tragic Quetta carnage, in which nearly one ton of explosive was used to kill about 100 members of Hazara community, is gory, senseless and shameful on all accounts. This clearly speaks about the performance of Quetta Police, IB and Special Branch who allowed explosive of this quantity to be brought in Hazara Town of Quetta for the death and destruction of a very peaceful community. The Hazaras are more literate than an average Pakistani or a Baloch. Though they are not violent, they understand the currents and cross-currents of national politics. They also understand the reasons behind the incident. One thing they are very clear about; the civilian administration is neither reliable nor competent enough to protect them. They have placed their faith in the armed forces and have demanded army takeover of Quetta town. They placed the same demand in January but settled for sacking of the government. They did not understand that even under the Governor Rule, there will be same administrative machinery which is not only too scared to nab the terrorists; it has no capacity to pre-empt and prevent an attack of this magnitude. Now there are renewed calls from the victims to hand over Quetta town to the army. This means their total lack of faith in the civilian government. They know that the leaders who are busy in wheeling dealing for the next elections have no time for their security. It may be kept in mind that Hazaras, like rest of the Shias in Pakistan, constitute the major component of vote bank of present government. The civilian leadership tried to play down the rage of victims by blaming intelligence agencies and exonerating their own ilk of the responsibility. A very novel idea has been floated by Daily Jang. 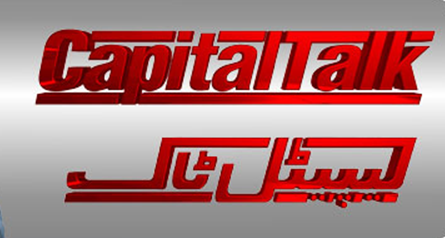 Its columnist and an anchor of Capital Talk of its Geo News Channel, in his column in the newspaper, has directly blamed the ISI and security establishment for perpetrating the attack on the grounds that agencies are trying to delay the elections and will use the incident as a pretext to postpone the elections. He has also quoted an un-named police source that agencies are trying to push Hazaras out of Quetta in order to grab their properties. He has also accused the COAS for failing to check the smuggling of explosives into Hazara Town, as if the COAS was responsible for policing in the area. There was uproar in social media against the self-defeating arguments presented in the said column. The Jang Group through the said columnist and anchor is only serving the interests of Pakistan’s enemies. It is well-known fact that he twists facts to lead and divert all the discussion against ISI and the armed forces. Unfortunately, he has some clout in a very respectable state organ and has been instrumental for ISI-bashing in the court for taking action against Baloch separatists who are being supported by India and other hostile powers. The Jang Group as a whole and this very “journalist” particularly are running a sustained campaign to malign and weaken the security establishment at the time of worst security crisis the country is facing. The faceless and voiceless security agencies should come out of their slumber and try to nab the enemies who are continuing their nefarious activities behind the freedom of expression. The camera and pen in the hands of the like of the said journo is a potent security risk and the security agencies should move to wrest this unwarranted freedom from the media anchors and journos who are stabbing the forces right at the time they are engaged in fierce battle for neutralizing the existential threats to the State of Pakistan. As for Hazaras, they know their enemies and have rightly placed their faith in the armed forces. They have, in fact, given shut-up call to such journalists. Quetta tragedy and Iran-Saudi connection…. Pingback: Why Hamid Mir is trying take the blame off LeJ and maligning Army for Quetta carnage?